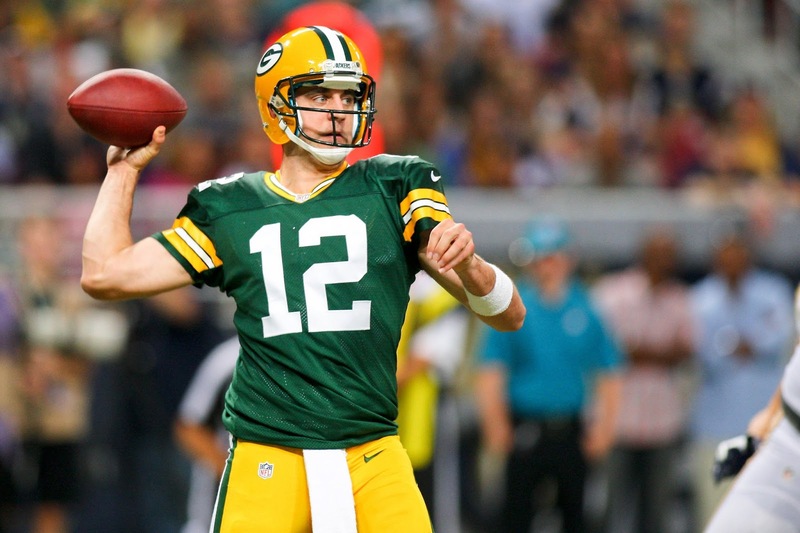 Today we're going to try a new format here at ANS--a debate between me and myself on the market value of Aaron Rodgers' recent contract extension. Rodgers recently signed a deal adding 5 years to his current contract. This will pay him roughly $21M per season over the next 3 years. See if you can figure out which Brian has the right idea and why they get different results. Brian 1: Rodgers' new deal is a fantastic bargain. He's one of the truly elite QBs in the league today, and guys like that don't grow on trees. But more scientifically, just look at this super scatterplot I made of all veteran/free-agent QBs. The chart plots Expected Points Added (EPA) per Game versus adjusted salary cap hit. Both measures are averaged over the veteran periods of each player's contracts. I added an Ordinary Least Squares (OLS) best-fit regression line to illustrate my point (r=0.46, p=0.002). Rodgers' production, measured by his career average Expected Points Added (EPA) per game is far higher than the trend line says would be worth his $21M/yr cost. The vertical distance between his new contract numbers, $21M/yr and about 11 EPA/G illustrates the surplus performance the Packers will likely get from Rodgers.